These graphs show the fraction of servers advertising various NTP leap second bits around the times of year that leap seconds can be introduced. 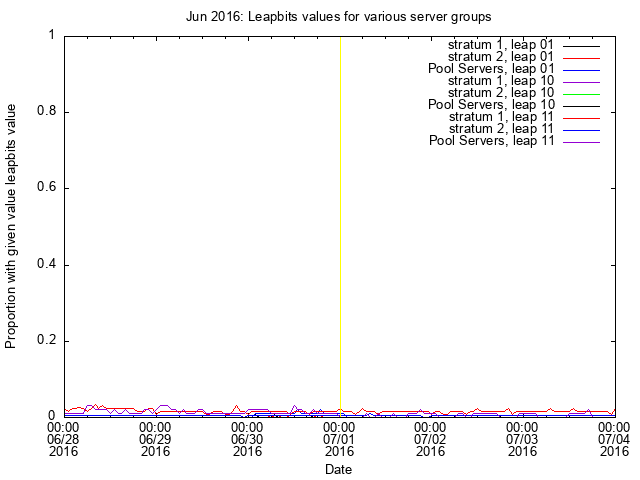 In the key of the graph "leap 01" means add a second, "leap 10" means remove a second, "leap 00" means no leap second is yet expected and "leap 11" means the server is currently unsynchronised. 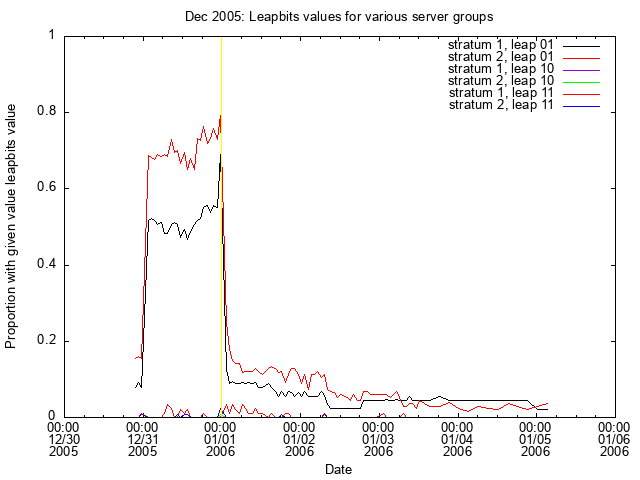 The line at the middle of each graph shows the point at which a leap second could be introduced. 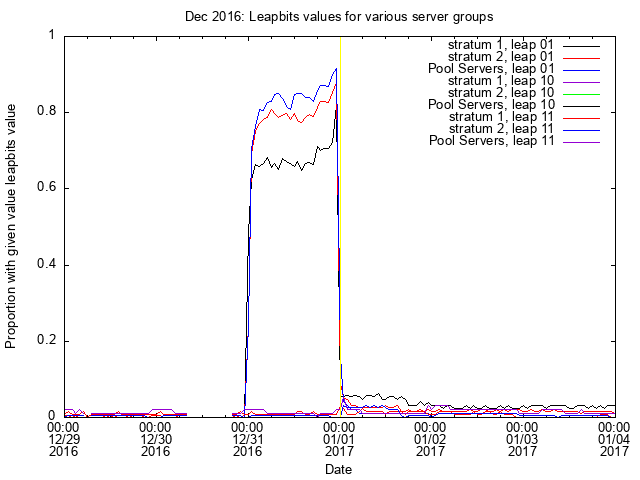 Note, I have a paper that describes the 2005-2015 results in more detail. No data for June 2008. No data for June 2007. No data for December 2007. 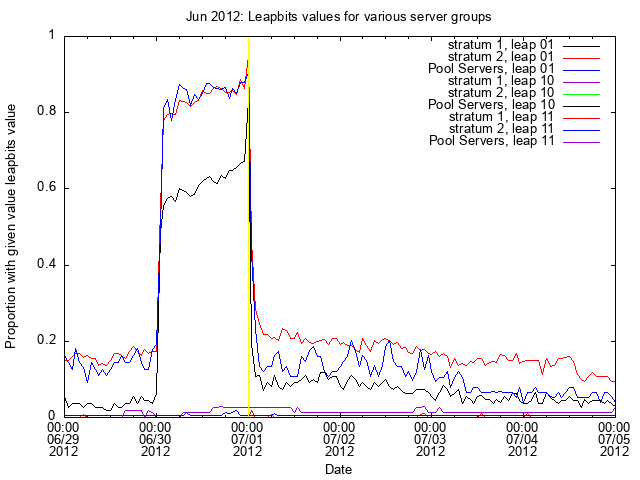 No data for June 2006. 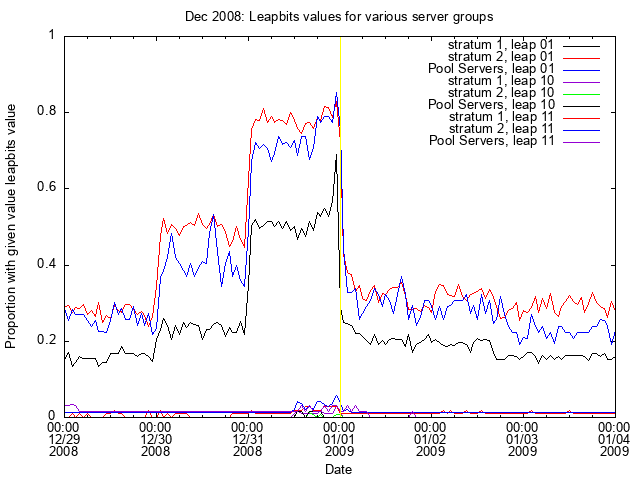 No data for December 2006. No data for June 2005. Back to my time stuff or home page.